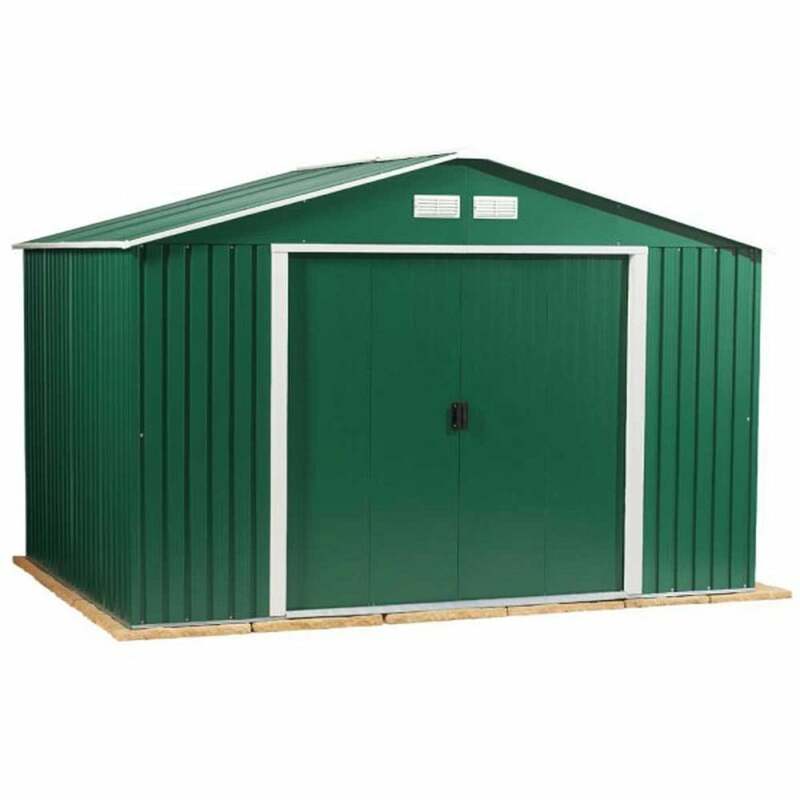 Storemore Springdale Apex Shed 10 x 8: The Storemore Springdale Shed is a wonderful and highly functional shed perfect for storing all your garden equipment and outdoor tools. The Springdale Apex Shed is available in a choice of two colours, Heritage Green or Anthracite Grey and features double sliding doors and large bodied steel construction. The Storemore 10 x 8 Shed is a secure and maintenance free metal garden shed, ideal for those wanting a large garden shed and includes a 15 year manufacturer's guarantee against rust perforation.